by Sanjay Sondhi, and Krushnamegh Kunte. Sondhi, S., and K. Kunte. 2014. Butterflies and Moths of Pakke Tiger Reserve. Titli Trust (Dehradun) and Indian Foundation for Butterflies (Bengaluru). vi+202pp, all in full color. 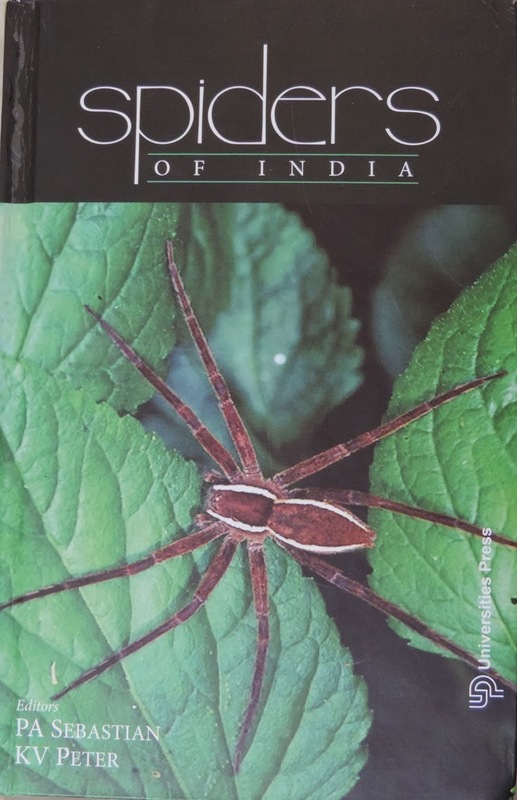 This book covers 379 butterfly species and 83 moth species from northeastern India. This is the second book in the Northeast India Natural History Series (the first being the Butterflies of the Garo Hills). This series seeks to popularise the biodiversity of northeastern India with a view to promote community-based eco-tourism, and thereby incentivize local communities to protect their forest habitats and to support conservation action. Since 2007 we have been surveying butterflies and moths of Pakke Tiger Reserve in western Arunachal Pradesh, which is part of the globally recognized Himalaya Biodiversity Hotspot. This book is a product of intensive surveys in and around this protected area. It has been published with generous and full funding from the Forest Department, Government of Arunachal Pradesh. This book is published on a not-for-profit basis, and the publishers and authors will not receive any commercial benefit from its proceeds. 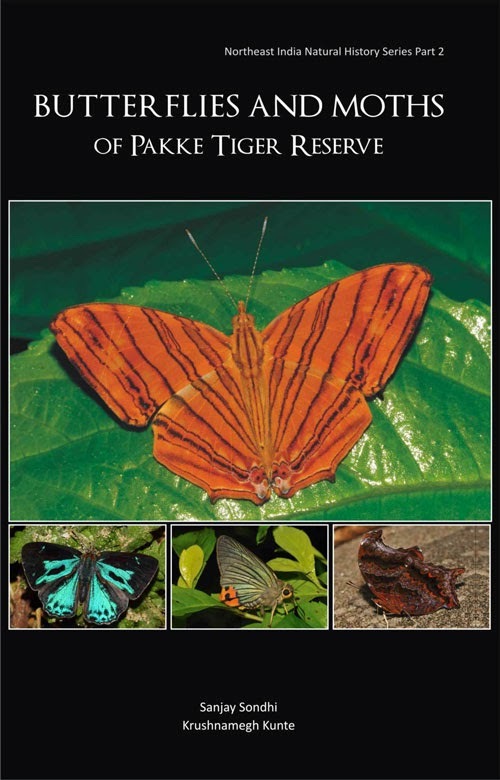 The contributory proceeds from this book will go entirely to the Pakke Tiger Conservation Foundation for the welfare of the forest department staff and local communities involved in the conservation efforts at Pakke. You can find out more about the conservation efforts and community-based eco-tourism initiatives at Pakke by visiting http://www.pakketigerreserve.org/ or by emailing Sanjay Sondhi. Sanjay Sondhi, Dehradun: Ph: +91 9412-052-189. Krushnamegh Kunte, Bengaluru (=Bangalore): Ph: +91 80 2366-6085 (office), -6086 (lab), +91 9483-525-925 (mobile). Contributory amount: Rs. 500 (Rs. five hundred), plus shipping costs. 20% discount on orders of six copies or more. Thanks to Vijaykumar Yadav for details.